This is a simple resin kit that provides the raised structure used as a firing platform for the Armoured Support Group's Centaur tanks. 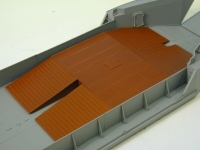 It fits directly into the well deck of the LCT5. 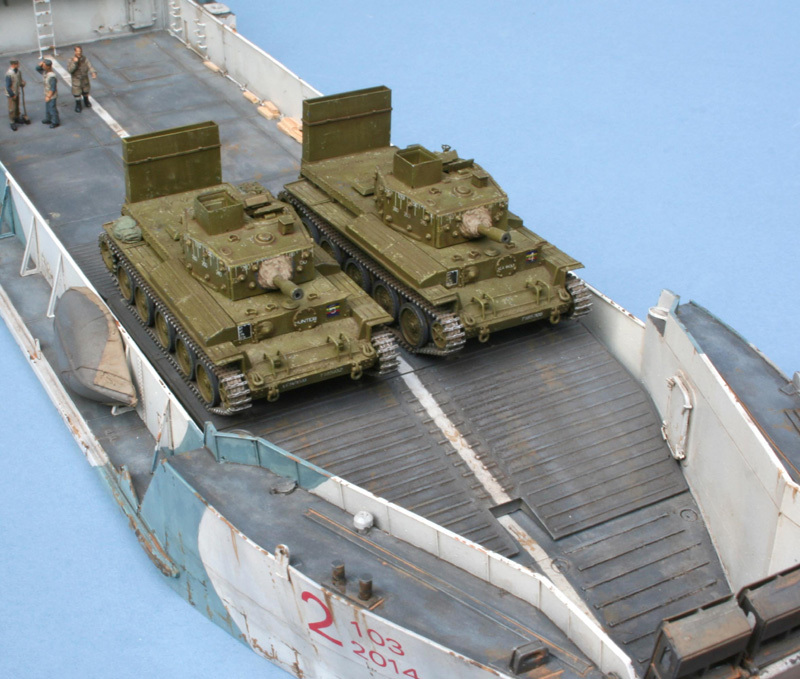 On operations two Centaur CS tanks armed with 95mm howitzers were positioned on top of the ramp to give fire support on the run in to the beach. Some also had a Sherman tank in on the deck behind the ramp for the troop or battery commander. It is an Accurate Armour casting based on a master by Dan Taylor.